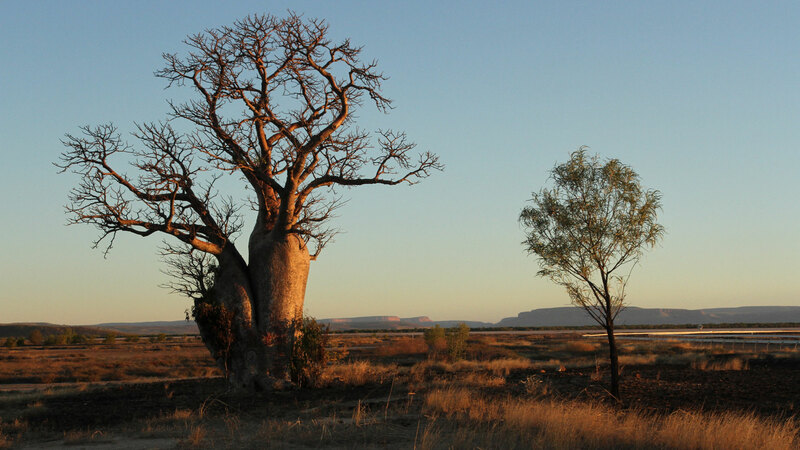 A Boab tree in Australia. Starting in July, NPR 89.1 listeners will notice a few new additions to the daily lineup. On weekdays at 3:30pm, The Daily offers a detailed portrait of the characters and human stakes driving the news. On weekends, Hidden Brain, hosted by NPR contributor Shankar Vedantam, uses science and storytelling to uncover unconscious patterns and biases, while Freakonomics employs the tools of economics to explore the hidden wrinkles and riddles of human behavior. Planet Money and How I Built This explains the economy with playful storytelling and dives into the stories behind some of the world’s best-known companies. American Routes presents the depth and breadth of the American musical and cultural landscape, while Travel with Rick Steves explores cultures and people around the world. Favorite weekend programs Wait Wait, Don’t Tell Me, On the Media, Radio Lab, TED Radio Hour, and This American Life will continue in new time slots. For a complete schedule and to stream NPR 89.1 live, please visit radio.azpm.org. Returning to PBS 6 this month, the beloved PBS tradition A Capitol Fourth, hosted by John Stamos, will be broadcast live from the West Lawn of the U.S. Capitol. Twenty cameras positioned around the city put viewers front and center for this all-star musical extravaganza and the greatest display of fireworks anywhere in the nation. A Capitol Fourth airs live from Washington Wednesday, July 4th at 5:00 p.m. on PBS 6, with an encore presentation at 8:00 p.m.
Also this summer, PBS 6 brings viewers the world during Summer of Adventure. A special lineup of programs all summer long transports viewers to some of the most remarkable destinations in the U.S. and abroad. Viewers will tour the vibrant immigrant communities in American cities with Chef Marcus Samuelsson in No Passport Required, climb to the top of the Rocky Mountains, the Himalayas, and the Andes in Kingdoms of the Sky, visit places where human survival is pushed to the limits in Earth’s Natural Wonders, and journey to the outer regions of the remote Australian wilderness in The Outback. Audiences will explore streets, monuments, and modern marvels in 10 That Changed America and journey deep into the depths of Mexico’s tropical rainforests in Wonders of Mexico. View the full television schedule online. And finally, Arizona Public Media has been honored with The 2018 Philanthropy Development Award from the Public Broadcasting Service and Greater Public, a public media development and marketing organization. The award recognizes fundraising projects that "strengthened the financial sustainability of the station and positioned the station as a leading community institution." The committee of public television professionals from around the country that selected the winners for the Philanthropy Development Award said it was impressed by "AZPM's ability to double (major gift) revenue by engaging key stakeholders, then empowering and mobilizing them to raise more money. ... This will be a great inspiration to other stations." AZPM General Sales Manager Sandy Riggins and Director of Development Enrique Aldana will accept the award at a conference in Chicago later this month. I’m proud to be a part of such a dedicated group of professionals who continue to elevate Arizona Public Media in our own community and throughout the country.